This Autumn, Birmingham City University marks 175 years at the heart of Birmingham life. Birmingham Government School of Design, formed in October 1843 and represents the roots of the institution that we have become today. As part of this celebration we have compiled a list of 175 Brummies Who Inspire. This includes inspirational people across arts, business, education, sports and science who either hail from Birmingham or have made a significant contribution to the City. The list features those whose inventions have transformed the way we live, those who have entertained through music, the arts and the media, people who have founded great industrial names, political pioneers and successful sports people who have achieved great things. On Thursday 15 November, the University announced the top ten Brummies Who Inspire, as voted by the public. We asked our students, staff and the public to vote for their favourite ‘Brummies Who Inspire’ from a list of 175. Here are the ten people who inspire the most.. Founder of Cadbury chocolate company. Activist and Nobel Prize winner. Author, Lord of the Rings. Theologian, philosopher, political theorist and chemist. Herbert Austin, 1st Baron Austin KBE was an English automobile designer and builder who founded the Austin Motor Company. He set up a factory in Birmingham to make machine tools, and later bicycles, before establishing the Austin car works in Longbridge in 1905. He was Member of Parliament for Birmingham King's Norton from 1918-24, and the Northfield bypass is called Sir Herbert Austin Way in his honour. John Barnes Linnett was a printer in Birmingham, where he patented the 'flip book' - a book with a series of pictures that vary gradually from one page to the next, so that when the pages are turned rapidly, the pictures appear to move – in 1868, under the name of the kineograph. This is the same principle – although with far more frames per second – that powers film and TV pictures to this day. John Baskerville worked as a printer in Birmingham, where he directed the design of many typefaces of broadly similar appearance in the 1750s. These have enjoyed a revival since the 1920s under the ‘Baskerville’ name. He was responsible for significant innovations in printing, paper and ink production including smoother white paper, wide margins and leading between each line, and he produced well-regarded folio editions of the works of Roman poet Virgil and The Bible. Alfred Bird was a pupil at King Edward's School in Birmingham, and registered as a pharmacist in the city in 1842. He invented a number of food products, most notably egg-free custard, which he originally created for his wife who had an egg allergy. Soon after, he founded ‘Alfred Bird and Sons Ltd, which made the famous Bird’s Custard powder at a factory in Birmingham until 1964. He also invented baking powder, for the manufacture of yeast-free bread. Cyclists the world over have John Boultbee Brooks to thank for a comfortable journey. Having started off manufacturing leather harnesses and tackle for horseriding, in 1878 he bought a bicycle, which were then still in the early stages of development but he found the wooden seat uncomfortable and vowed to invent something better. He patented his first design – made from animal hide and including padding – in 1882, and they went on sale in 1888. His company later expanded into motorbike saddles and side bags, and leather luggage. Matthew Boulton followed his father into the manufacture of small metal products at his factory in Birmingham, before becoming a partner in the Boulton and Watt steam engines business, which brought about the mechanisation of factories and mills. Boulton applied modern techniques to the minting of coins, striking millions of pieces for Britain and other countries, and supplying equipment to the Royal Mint. His image appears alongside his partner James Watt on the current Bank of England £50 note. Karren Brady is a sporting executive, politician, television personality, newspaper columnist, author and novelist, sometimes known as the ‘first lady of football’ for her role as managing director of Birmingham City FC for 16 years – the first woman to hold such a position in the top flight of English football. She features in BBC One series The Apprentice as an adviser to Lord Sugar, and was Small Business Ambassador to the UK Government under Prime Minister David Cameron. William Bragge began his career as a civil engineer in 1845, working in railway surveying in the UK and then Brazil, where he also worked on the project to light Rio de Janeiro with gas. He built gas and waterworks for the city of Buenos Aires, in Argentina, and founded Argentina's Primitiva de Gas Company. He then moved to Sheffield where he worked in shipbuilding, cutlery and armour-plating, before returning to Birmingham where he established a watch-making factory. 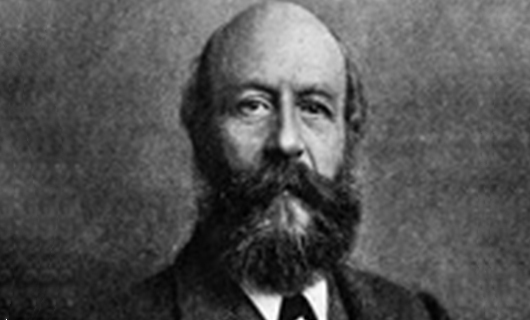 John Cadbury is responsible for one of Birmingham's most famous exports, that retains a significant presence in the city to this day. He began selling tea, coffee and drinking chocolate from a shop in Bull Street in 1824, before moving into the production of cocoa and drinking chocolate in 1831, followed by his first chocolate bar in 1849. The business passed to his sons who relocated operations to Bournville and built the surrounding village for workers, known for providing living conditions far better than those generally offered at the time. Birmingham was once at the centre of the global pen manufacturing industry, and one of the key figures in this success was Joseph Gillott. After initially working in the cutlery trade, he turned his attention to the manufacture of steel pens in 1830 and rapidly became successful, opening a large new factory - the Victoria Works - in the Jewellery Quarter in 1840, employing around 450 people. He invested some of his wealth in the arts, and was an early supporter of J M W Turner's work. His name lives on today in the Joseph Gillott range of drawing and mapping nibs produced by William Mitchell Ltd.
William Haywood worked as an architect from 1900, and also designed in stained glass, wrought iron and cast lead. In 1914, he went into partnership with Herbert Tudor Buckland, who would later join Haywood on the Executive Council of The Birmingham Civic Society. He produced many schemes for re-planning the city, including improvements to New Street station, a grand ‘People’s Hall’, pleasure grounds and zoological gardens, only a few of which were built. He oversaw the decoration of the city for the coronation of King George VI and Queen Elizabeth in 1937 and the centenary of the Charter of Birmingham the following year. Ralph Heaton was an engineer, inventor and businessman in Birmingham where he built a reputation as a manufacturer or rose engines - a lathe for engraving curved or intricate patterns - and others tools used in the rapidly-expanding manufacturing industries of the city. He invented a machine for drilling four holes at once in buttons, and in 1790 he developed a press for cutting out and punching the holes in button cards in one operation. Sir Rowland Hill certainly left his stamp on history, campaigning for reform of the postal system, based on a flat-rate, prepaid charge for letters, facilitating their safe, speedy and cheap delivery. He later served as a government postal official, and he is usually credited with originating the basic concept of the modern postal service, including the postage stamp, and he has been honoured by featuring on stamps in around 150 different countries. Digby Jones is one of the leading business figures in the Midlands, having served as both Director General of the CBI and Minister of State for Trade and Investment. Prior to these posts, he spend 20 years at Birmingham law firm Edge & Ellison, where he worked his way up from Articled Clerk to Senior Partner. He sits in the House of Lords as a crossbencher and is a regular commentator in the media on business matters. Building societies have played a vital role in British society, allowing members to save money and own their own homes. This revolution started in Birmingham's Golden Cross Inn, in Snow Hill, where landlord Richard Ketley founded Ketley's Building Society – believed to be the world's first such institution – in 1775. Frederick William Lanchester was one of the key figures in the early development of the British automobile, including building the country's first petrol-engined car in 1896. He moved to Birmingham after leaving university to work for a gas engine manufacturer, before leaving to set up his own firm five years later. He is credited with developing disk brakes, the crankshaft damper, the accelerator pedal, stamped steel pistons, detachable wire wheels and many other components still used in today’s vehicles. Sampson Lloyd was a trader and manufacturer of iron in Birmingham's early industrial period. In 1765, aged 66, he formed a company with his son, also named Sampson, and button-maker John Taylor to form Birmingham's first bank, Taylor's and Lloyds. Through a series of expansions and takeovers, the bank developed into today's Lloyds Banking Group, one of the largest banks in the UK. Born in Birmingham, Joseph Lucas established his first business in 1860, selling various items of hardware, including paraffin oil. This led to him setting up a workshop in Birmingham, producing new types of lamps, which burned paraffin or petroleum. This business developed into Lucas Industries, a major manufacturer of manufacturer of motor industry and aerospace industry components, which operated in Birmingham until 1996. Sir Herbert Manzoni was an influential but controversial figure, responsible for much of the redevelopment of the city of Birmingham in the 1960s. As City Engineer and Surveyor of Birmingham from 1935-63, he oversaw the demolition of many of the city's Victorian structures, and the construction of the inner ring road and many of the 'brutalist' concrete buildings in fashion at the time. In more recent years, many of the buildings he oversaw have themselves been demolished and efforts made to bridge the ‘concrete collar’ of the ring road. Birmingham-born Horace George Marsh was architect known for buildings in the city and elsewhere including Birmingham's Alpha Tower and Centre Point in London, both of which are now Grade II Listed. He worked for a number of architects before he joined the practice of Richard Seifert in 1957, becoming a founding partner in the newly formed R Seifert & Partners a year later, and continued to work in the industry until his retirement in 1986. Sir Josiah Mason was a key figure in Birmingham's pen trade in the 1800s, as the largest producer of steel nibs in England at a time when the city dominated the industry. He started out selling cakes, fruits and vegetables, and then tried his hand at shoemaking, baking, carpentering, blacksmithing, house-painting and carpet-weaving, before discovering his talent for manufacturing. As a self-taught man, he had great concern for the city's poor and he established an orphanage in the city in 1860, followed by Mason College - later incorporated into the University of Birmingham - in 1880. One of the pioneers of the British motorcycle industry, James Lansdowne Norton started The Norton Manufacturing Company in 1898 at the age of 29. Initially producing bicycle parts and then fully-assembled bicycles, he produced his first powered motorcycle in 1902. The brand’s standing was enhanced by James’ 3,000-mile trip round South Africa on a Norton machine in 1921-22. The firm continued to produce well-respected bikes until it hit financial trouble in the mid-1970s and the brand was revived in 2008. Mary Pickup was one of four women who blazed a trail in 1922 by becoming the first women in England to qualify as solicitors; Mary took up this role in Birmingham, eventually becoming a partner with her husband in the firm Redfern & Co. She also served as President of the Birmingham Soroptimist Society – an organisation for professional women who work to improve the lives of women and girls, in local communities and throughout the world – which created a Mary Elizabeth Pickup Memorial Fund in her memory. Often called the 'Yummy Brummie' Glynn Purnell the proud owner of two establishments in Birmingham, Purnell’s Restaurant on Cornwall Street, which was awarded a Michelin star in 2008 and Purnell’s Bistro & Ginger’s Bar on Newhall Street. Glynn is becoming a household name after taking part in the Great British Menu, winning twice and then later appearing as a mentor. He has previously featured on The Great British Food Revival alongside other television programmes. You can also regularly see him on Saturday Kitchen as a guest chef and host. John Sumner can claim a big influence on our refreshment habits to this day, after founding the popular Typhoo tea business in Birmingham. After taking over the family grocery business, he began to sell the fanning (tips) of tea leaves, which had previously been discarded in the manufacturing process. Choosing to establish a brand, backed by advertising and promotion, and sell in packets rather than loose over the counter, helped the tea become a success. John was also a philanthropist, founding the John Sumner Trust in 1927 and the Colehaven Trust in 1930, and was knighted for this work in 1932. John Taylor worked as a cabinet maker in Birmingham, before setting up a factory to manufacture small metal items like buttons, buckles, snuff boxes and jewellery boxes. This grew into one of Birmingham's leading firms, employing 500 people. He partnered with fellow industrialist Sampson Lloyd to found Birmingham's first bank, Taylor's and Lloyds. This developed into today's Lloyds Banking Group, one of the largest banks in the UK. Edward Thomason followed his father into manufacturing, having first learned his trade at the Soho Foundry, under Matthew Boulton. He began manufacturing in his father's factory in about 1793, specialising in gilt and plated buttons, before expanding into medals, tokens and coins, and later plated gold and silver works. He also invented improvements to the corkscrew and the gun lock. He was knighted by King William IV. James Watt was an inventor, engineer and chemist whose Watt steam engine, invented in 1781, played a key role in the development of the Industrial Revolution. His design was more energy-efficient than its predecessors, and he partnered with fellow Birmingham industrialist Matthew Boulton to develop it commercially. Other inventions included a machine for copying documents which continued to be used until the 20th Century. He developed the concept of horsepower, and the watt unit of power was named after him. William Westley Richards was a manufacturer who founded the Westley Richards gunmaking business which still bears his name today. He was responsible for many innovations in rifle design, as used by the British Army during the 1800s, and the firm remained in his family's hands until 1957. His philosophy – ‘to build as good a gun as can be made’ – remains the firm’s driving force today. Dr Gurjeet Kaur Bains is Editor in Chief of Britain’s first English/Punjabi publication, The Sikh Times, which has flourished to become a successful publication read around the world. She is also a Non-Executive Director of Europe’s largest hospital, University Hospital Birmingham, and a governor of Birmingham Metropolitan college. She was the first woman to Chair the Institute of Asian Businesses. Anita Bhalla has enjoyed a successful career in the media industry spanning over 25 years and has held many roles within the BBC. She set up BBC Asian Network in the West Midlands, now a national digital service, and led the BBC's development of Big Screens in cities around the country. In 2009, Anita was awarded an OBE for her services to Broadcasting and Communities and the following year, she was appointed High Sheriff for the West Midlands. Vanley Burke is often described as the ‘Godfather of Black British Photography’, with his images capturing the evolving cultural landscape and social change in the UK over the past 40 years, representing possibly the largest photographic record of the Caribbean Diaspora in Britain. His first studio was in Grove Lane, Handsworth, and his first major exhibition was held at the Ikon Gallery Birmingham in 1983. Since then, his work has been shown around the UK, as well as the USA, China, South Africa and Mali. He has also endeavoured to exhibit his work in accessible locations, such as community centres, clubs, pubs, churches, pool halls and schools. Sir Edward Burne-Jones was a major British artist of the 19th Century, with his art credited with influencing major European painters of the late 19th and early 20th centuries. He was closely associated with the later phase of the Pre-Raphaelite movement, who worked closely with William Morris on a wide range of decorative arts including stained glass, textiles, embroidery and ceramic tiles. By the 1860s, he was finding his own artistic 'voice' and put on his first show of eight oil paintings in 1877. Born on the Caribbean island of St Kitts, Dr Pogus Caesar is an artist, author and archivist. He began his career taking photographs of his local community and his visual record documents many historical events. He has worked across the globe documenting diverse communities and his work has been acquired by the V&A, the Mappin Art Gallery, Sheffield, Leicester City Art Gallery and Birmingham Museum and Art Gallery. Pogus also had a successful career in television, producing and directing a wide variety of programmes for Central TV, Carlton TV and the BBC. In 2018 he was awarded a Honorary Doctorate by Birmingham City University. Florence Camm came from a family of stained-glass makers in Smethwick and studied at the Birmingham Municipal School of Art at a time when women were usually discouraged from pursuing such careers. Her work demonstrates the skills she achieved, exhibiting at the Royal Academy and with international commissions. She was particularly well-known for her 'Dante' series, designed for the English House at the 1911 Turin International Exhibition, which were awarded the Grand Prix and the Diploma of Honour. Dame Barbara Cartland is one of the most prolific authors of all time, writing 723 novels, which have been translated into 38 languages, as well as plays, verse, drama, music and magazine articles. On average, she wrote a novel every fortnight and features in the Guinness Book of Records for the most novels written in a single year (1976). She was also a noted philanthropist and one of London's most prominent 'society' figures and media personalities. James Grant, who uses the pen name Lee Child, is an author best known for his Jack Reacher series of novels, which follow the adventures of a former American military policeman, two of which have been adapted into films starring Tom Cruise. Before becoming a writer, James worked for Granada Television as a presentation director, writing thousands of links, trailers, commercials and news stories. After drawing on and off for as long as she could remember, comic book artist Laura Howell turned 'pro' in 2006 after previously working as an editor in children's publishing. She became the first female artist to produce a regular strip in popular comic The Beano, responsible for such strips as Johnny Bean from Happy Bunny Green, Les Pretend, Tricky Dicky and the manga adaptation of The Beano. Her work has also featured in The Dandy, TOXIC magazine, Viz and MAD Magazine. Birmingham-born Walter Langley is generally considered the pioneer of the 'Newlyn School' of painters who based themselves in the Cornish village from the early 1880s and were one of a number of groups to promote the idea of outdoor, as opposed to studio-based painting. He specialised in watercolours and was known for his social realist depiction of working-class figures such as fishermen, and the hardships they endured at the time. Having initially worked as a science teacher, Shazia Mirza made her stand-up comedy debut in 2001. She has since performed shows in the UK, USA, Canada and Sweden. She has also been a columnist for The New Statesman since 2006 and The Guardian since 2008, and has appeared on TV shows including 'Have I Got News for You', 'The Wright Stuff', 'Loose Women', 'The Jonathan Ross Show' and American current affairs series '60 minutes'. After earning a PhD in Philosophy and teaching at the University of Birmingham, Sadie Plant went on to found the Cybernetic Culture Research Unit, which focused on emerging cyberfeminist thinking, with colleague Nick Land at the University of Warwick. In 1997, she became a full-time writer, publishing a cultural history of drug use and control, and a report on the social effects of mobile phones, as well as articles in publications including the Financial Times, Wired, Blueprint, and Dazed and Confused. Mollie Randle has had a major impact on the arts scene in Birmingham, setting up the mac (formerly the Midlands Arts Centre), alongside her husband John, in 1962. The venue has since brought a wide range of plays, concerts, films and art exhibitions to the city as well as hosting classes and workshops for all ages. Previously, she had worked for an accountancy firm and tax office, while becoming increasingly involved in amateur theatre, and then setting up a touring company – The Arena Theatre – which explored her and John’s ideas about introducing young people to the theatre. Adil Ray is a British actor, comedian and radio and television presenter. He stars in the BBC One comedy 'Citizen Khan', which he created and co-writes, as well as Channel 4 school drama 'Ackley Bridge'. Prior to that he was a radio presenter on the BBC Asian Network and BBC Radio 5 Live, and he has guest presented programmes including 'The One Show' and 'Good Morning Britain'. He received an OBE for services to broadcasting in 2016 and holds an Honorary Doctorate from Birmingham City University. Jonathan Watkins has been Director of Ikon Gallery since 1999, having previously worked for two major galaries in London. He has also curated projects at the Castello di Rivoli in Turin, the Venice Biennale in Italy, the Hayward Gallery in London and Tate in London. He has written extensively on contemporary art and in 2013 he was nominated as one of the top 100 Global Thinkers by Foreign Policy magazine. Gillian Wearing is a well-regarded conceptual artist, known for her method of documentation of everyday life through photography and video. She won the annual British fine arts award, The Turner Prize, in 1997, and was elected as lifetime member of the Royal Academy of Arts in London in 2007. Her statue of the suffragist Millicent Fawcett stands on London's Parliament Square. 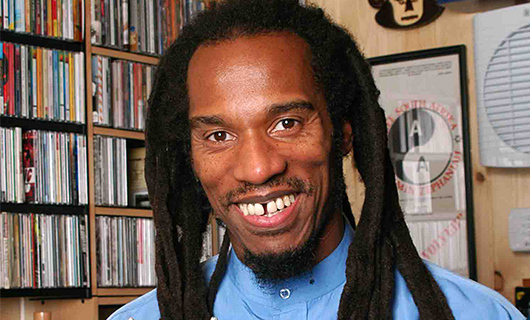 Benjamin Zephaniah is a writer, dub poet and Rastafarian. Born and raised in the Handsworth district of Birmingham, he aims to take poetry out beyond its traditional print audience through 'concert-like' performances. He has also released several albums of original music, and performed as an actor, most notably as preacher Jeremiah Jesus in Birmingham-set TV series ‘Peaky Blinders’. Lady Martha set up the art gallery and concert hall, Barber Institute of Fine Arts, in memory of her husband Henry Barber, a wealthy property developer who made his fortune expanding Birmingham's suburbs. This fulfilled the couple's earlier discussions about establishing a permanent contribution to Henry’s home city. Following her own death, she left the entire Barber fortune to the Trustees of the Institute to enable the construction of a new building, the development of the art collection and the funding of public concerts. Sir David Cannadine is a British author and historian, specialising in modern history and the history of business and philanthropy. He is a Professor of History at Princeton University, a Visiting Professor of History at Oxford University, and the editor of the Oxford Dictionary of National Biography. He has published many books on British history and is widely known as a commentator on current events in newspapers, on the radio and on television. 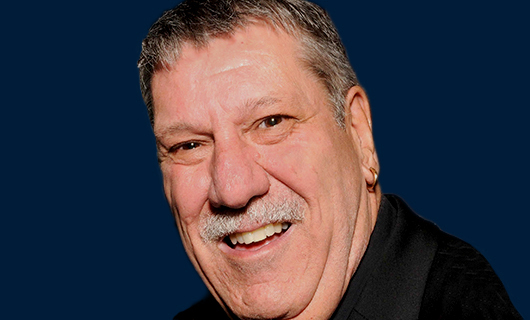 Carl Chinn has devoted his working life to studying and promoting the social history of Birmingham. Having initially worked as a bookmaker, he then entered academia, gaining his PhD in 1986. He started lecturing at the University of Birmingham in 1990 and has also taught at schools in the area. He writes regular columns for the Birmingham Mail and Express and Star newspapers on local history, as well as writing a number of books and presenting a show on BBC WM radio until 2013. Dr Joseph Sampson Gamgee did much to make hospital surgery safer during his time working in Birmingham. Born in Italy, he was then a surgeon at the Queen's Hospital (later the General Hospital) in Birmingham. He pioneered aseptic surgery - keeping a surgical field sterile to reduce the chance of infection - and in 1880 invented Gamgee Tissue, an absorbent cotton wool and gauze surgical dressing. In 1873 he founded the Birmingham Hospital Saturday Fund which raised money for various hospitals in the city from overtime earnings given by workers. Jamaican-born Stuart Hall moved to Birmingham in the 1960s. A cultural theorist, political activist and Marxist sociologist, he was one of the founding figures of British Cultural Studies. Hall became director of the University of Birmingham’s Centre for Contemporary Cultural Studies during a 15-year association with the institution. He is credited with expanding the scope of cultural studies to deal with concepts of race and gender, was President of the British Sociological Association during the late 90s and was involved in the Black Arts Movement. Hall passed away in February 2014 but his work continues to have a major influence on cultural and academic thought. Being both a surgeon and a keen amateur photographer, John Hall-Edwards was ideally placed to pioneer the new medical technology of x-rays, which he demonstrated for the first time in 1896. In 1899 he was made the Surgeon Radiographer in Birmingham, and the following year joined the Warwickshire Regiment as a radiographer during the Boer War in South Africa. He suffered for his efforts, with cancer caused by x-rays causing him to lose first his left arm and then four of his right fingers, which led to improved protection for those using them in future. Geoffrey Jones is a Professor of Business History at the prestigious Harvard Business School in the USA. He previously studied at the University of Cambridge where he gained a PhD and then worked as a research fellow, before lecturing at the London School of Economics and the University of Reading. His research focuses on the evolution, impact and responsibility of global business. He has published books on the history of global business, specialising in consumer products and financial services such as banking, reinsurance and commodity trading. Deirdre Kelly has had a major impact on the health of children in the city after setting up the liver unit at Birmingham Children's Hospital in 1989. Since then, she has developed the facility into the leading paediatric liver unit in the world, helping to raise survival rates for children having liver transplants from 40% in 1989 to 90% today. She is a Professor of Paediatric Hepatology at the University of Birmingham. David Lodge began his career as a writer and literary critic while teaching English Literature at the University of Birmingham, before retiring to focus on his writing full time. He draw on his experiences of the academic world for several of his novels, including the trilogy ‘Changing Places’, ‘Small World’ and ‘Nice Work’, the first two of which he also adapted for TV. He also adapted Charles Dickens' ‘Martin Chuzzlewit’ as a six-part television serial, first screened in 1994. Leonard Parsons worked at Birmingham Children's Hospital and Birmingham General Hospital and was a Professor of Paediatrics at the University of Birmingham. In 1932, he was the first doctor to use synthetic Vitamin C to treat scurvy in children. He published valuable papers on nutritional disorders, especially rickets and scurvy, and gave many lectures on his work. He pushed for the expansion of the Children’s Hospital, which duly happened in 1944. Lawson Tait was a pioneer in pelvic and abdominal surgery, best-known for introducing surgery for ectopic pregnancy in 1883 - a procedure that has saved many lives since then. He pioneered other surgical techniques including the first removal of an organ for pain, first removal of infected tubes and first gallbladder surgery. He was an early campaigner against vivisection - the practice of using animals to practise surgical techniques. David Wheeler studied mathematics at the University of Cambridge where he then completed the world's first PhD in computer science in 1951. As a member of the team working on Cambridge’s Edsac (Electronic Delay Storage Automatic Computer), he was responsible for the system that provided instructions to the computer, which still form the basis of modern computer programming. He helped to develop computer science teaching at Cambridge from its inception in 1953, when the Diploma in Computer Science was launched as the world’s first taught course in computing. David Wilson is Emeritus Professor of Criminology and the founding Director of the Centre for Applied Criminology at Birmingham City University. A former Prison Governor, his work concerns serious violent crime, especially murder and serial murder. He appears regularly in the print and broadcast media, including Channel 4's 'Interview with a Murderer', ITV1’s 'Bring Back Borstal' and on Channel 5’s 'David Wilson’s Psychopaths'. William Withering was a doctor, botanist, geologist and chemist, best-known for discovering digitalis - a drug obtained from the leaves of the foxglove plant, used to strengthen contractions of the heart muscle. He was appointed physician to Birmingham General Hospital in 1775 and was elected a Fellow of the prestigious Royal Society in 1785. He also produced an early and influential guide to all the known plant species growing in Britain at the time. Kenny Baker was an actor best known for portraying the robot R2-D2 in the 'Star Wars' films. Standing at a height of 3ft 8ins, his first taste of showbusiness came in a theatrical troupe of dwarves. He then performed in a circus and in ice shows, before forming half of a comedy-musical duo called The Minitones, where he was spotted by director George Lucas. Baker's other films included ‘The Elephant Man’, ‘Time Bandits’, ‘Willow’ and ‘Flash Gordon’. Sir Michael was a central and outstanding figure in the British film industry for over 50 years. He was influential in setting up the British Academy of Film and Television (BAFTA) and his time as head of Ealing Studios saw the company produce some of its most famous films, including the Ealing comedies and 'The Blue Lamp', which inspired the TV series 'Dixon of Dock Green'. He had an eye for new talent and discovered filmmakers such as Sir Alfred Hitchcock. Bob Carolgees is a comedy entertainer, best known for his appearences alongside canine puppet Spit the Dog. They first appeared on Saturday morning children's TV show 'Tiswas' in the late 1970s, followed by its adult versions 'O.T.T.' and 'Saturday Stayback'. He then worked for eight years alongside Cilla Black on the entertainment show 'Surprise Surprise' and fronted the game shows 'Hold Tight!' and 'Concentration'. He also regularly travelled around the world to entertain British armed forces stationed overseas. Jasper Carrott's first taste of performance came when he started his own folk club in Solihull but he soon became better known for his comedy routines, often reflecting the life and culture of Birmingham, including his support of Birmingham City Football Club. He presented a number of popular television shows including ‘Carrott's Lib’, ‘Carrott's Commercial Breakdown’, ‘24 Carrott Gold’, and ‘Canned Carrott’, as well as starring in spoof police series ‘The Detectives’, with Robert Powell. More recently, he hosted six series of the quiz show ‘Golden Balls’ on ITV. Born in London to an Indian Bengali family, Reeta Chakrabarti was raised in Birmingham and also spent time studying in India and France. After graduating, she pursued a career in journalism, and joined the newly-launched BBC Radio 5 Live in 1994 as a reporter for the Breakfast programme. She later worked as a general news correspondent, Community Affairs correspondent, Political correspondent, Education correspondent and presenter. Catherine 'Cat' Deeley worked as a fashion model before moving into TV presenting with popular children's show 'SM:TV Live' and accompanying music show 'CD:UK'. Further presenting roles followed on programmes including 'Fame Academy' 'Stars in their Eyes' and events like the BRIT Awards and Concert for Diana. Since 2006, she has become a major star on US television, hosting 'So You Think You Can Dance', for which she has been nominated five times for a Primetime Emmy. Born in Birmingham, Oscar Deutsch opened his first cinema in nearby Brierley Hill in 1928, with the Odeon brand first used on a cinema in Perry Barr two years later. By 1933, the firm was a household name with 26 branches in the UK. Its cinemas were seen as slightly more comfortable and upmarket than those of rival chains, and were known for their Art Deco architecture. The chain still exists today and is the largest in the UK by market share. Having trained at the Royal Academy of Dramatic Art (RADA), Trevor Eve has enjoyed a long acting career dating back to the 1970s. His most well-known early role was the detective series 'Shoestring' from 1979-80. More recently, he has been known for his role as Detective Superintendent Peter Boyd in the BBC drama 'Waking the Dead'. He has acted extensively on stage and was awarded the Laurence Olivier Award for Best Actor in a New Play in 1982, and the Olivier Award for Best Actor in a Supporting Role in 1997. Charlie Hall was a prolific screen actor from the 1920s to the mid-50s without usually playing a starring role. After starting performing in vaudeville troupes on stage, he went on to appear in films with many of the day's top comedy actors, including Buster Keaton and Charley Chase, but is best known for his collaborations with Laurel and Hardy, appearing in almost 50 films with the duo. A pub in Erdington is named in his honour. Alison Hammond first became known after appearing on series 3 of the reality TV show 'Big Brother', but unlike many former contestants, her fame since then has endured. She has interviewed many celebrities as showbiz reporter on 'This Morning', and has appeared on shows including 'Celebrity Stars in their Eyes', 'Celebrity Masterchef' and 'Strictly Come Dancing'. She made her Hollywood debut in 2018, voicing the animated film Hotel Transylvania 3: Summer Vacation. One of Britain's most popular comedy actors, Tony Hancock is best-remembered for his BBC series 'Hancock's Half Hour', first broadcast on radio from 1954, then on television from 1956. The show was considered one of the first situation comedies, with Hancock playing an exaggerated and less successful version of himself in episodes including 'The Blood Donor' and 'The Radio Ham'. In 2002, BBC radio listeners voted Hancock their favourite British comedian of all time. He is honoured with a statue in Old Square, Birmingham. David Harewood is an actor, best known for roles in the American series 'Homeland' and 'Supergirl'. He was a member of the National Youth Theatre, and then gained a place at the Royal Academy of Dramatic Art when he was 18. Numerous TV roles in the UK followed, including long-running parts in medical drama 'Always and Everyone' and police series 'The Vice'. He has portrayed Nelson Mandela on TV and Martin Luther King on stage. Felicity Jones rose to international fame thanks to hear lead role in the film 'Star Wars: Rogue One', but her acting career dated back to age 11, appearing in children's series 'The Treasure Seekers' and 'The Worst Witch'. Later TV roles included 'Northanger Abbey', 'Doctor Who' and 'The Diary of Anne Frank' and she had a long-running role in BBC Radio 4’s 'The Archers'. Other movies have included 'Chalet Girl', 'The Amazing Spider-Man 2' and 'The Theory of Everything'. Screenwriter and film director Steven Knight is perhaps best-known for creating and writing the Birmingham-set gangster epic 'Peaky Blinders'. He has also written a number of films, including 'Closed Circuit', 'Dirty Pretty Things' and 'Locke', and co-created the hit game show 'Who Wants to be a Millionaire?'. He has announced plans to boost Birmingham's film industry by building a new studio complex, which he aims to have up and running by 2020. Ian Lavender is a stage, film and television actor, best-known for his role as Private Pike in the classic BBC comedy series 'Dad's Army'. After that series ended in 1977, he appeared in a number of other sitcoms including 'Rising Damp', 'Come Back Mrs Noah' and 'Yes Minister'. More recently, he played Derek Harkinson in EastEnders from 2001-05, and again from 2016-17. He had a small role in the 2016 film version of 'Dad's Army'. Tom Lawes is the man responsible for reviving The Electric - the UK's oldest working cinema, which has been operating in Birmingham since 1909. He started off making comedy sketches and short films, and then composing music for video games, before buying The Electric with the initial intention of using it as a recording studio but the cinema side of the business soon proved successful, with its sofas, waiter service and bar helping it stand out from rivals. Born in Jamaica, Rustie Lee moved to Birmingham aged four. She worked in her family's Caribbean bakery and then set up her own restaurant, Rustie's, which led to her first TV appearances, most notably on breakfast show 'TV-am', where she spent eight years as an authority on Caribbean cooking. A move to prime-time TV followed with the entertainment show 'Game for a Laugh' and she has continued to appear on shows such as 'This Morning', 'The Alan Titchmarsh Show' and 'Celebrity Super Spa'. Adrian Lester has played a number of TV and film roles since the late 1990s, after training at Birmingham Youth Theatre and the Royal Academy of Dramatic Art. He is perhaps best known for his performance as con artist Michael Stone in the BBC drama 'Hustle' from 2004-12. Other appearances include 'Bonekickers', 'Merlin' and 'Undercover', as well as a role in the American sitcom 'Girlfriends'. Bill Oddie got his first taste of showbusiness as a member of the famous Footlights Club at Cambridge University. He went on to contribute to several popular TV and radio series of the time including 'That Was The Week That Was' and 'I'm Sorry, I'll Read That Again', before finding greater fame with groundbreaking TV comedy series 'The Goodies'. A keen birdwatcher since childhood, Oddie has also established a reputation as a conservationist, fronting television programmes including 'Springwatch'/'Autumnwatch', 'How to Watch Wildlife' and 'Bill Oddie Goes Wild'. John Oliver may not be a household name in the UK, but he is well-known on the other side of the pond, where he is currently the host of the satirical current affairs show 'Last Week Tonight with John Oliver', which has won six Emmy Awards. Previously he appeared as British correspondent on 'The Daily Show with Jon Stewart' and he also had a number of acting roles including a recurring part in the sitcom 'Community'. James is best known for his acting career alongside identical twin brother Oliver, in particular their roles as Fred and George Weasley in the Harry Potter film series. Other roles as twins include the TV drama 'Kingdom' and the comedy 'Danny and the Human Zoo'. Alongside his brother, he has also appeared at a number of Harry Potter-themed events and undertaken a number of activities for charity. Oliver is best known for his acting career alongside identical twin brother James, in particular their roles as Fred and George Weasley in the Harry Potter film series. Other roles as twins include the TV drama 'Kingdom' and the comedy 'Danny and the Human Zoo'. Alongside his brother, he has also appeared at a number of Harry Potter-themed events and undertaken a number of activities for charity. Martin Shaw is a well-known actor on stage, screen and film, having been active in the business since 1967. He is particularly remembered for his roles in such popular TV series as 'The Professionals', 'The Chief', 'Judge John Deed' and 'Inspector George Gently'. He has also narrated several audiobooks and TV commercials, and presented a number of documentaries about aviation. Actor James Sutton is best known for playing two major soap roles - John Paul McQueen in 'Hollyoaks' from 2006-08 and 2012-17, and Ryan Lamb in 'Emmerdale' from 2009-11. He has also played guest roles in shows including 'Trial and Retribution', 'Casualty' and 'Doctors'. While in Hollyoaks, his character came out as being gay, with the storyline winning many accolades, including Broadcast of the Year at the 2007 Stonewall Awards. 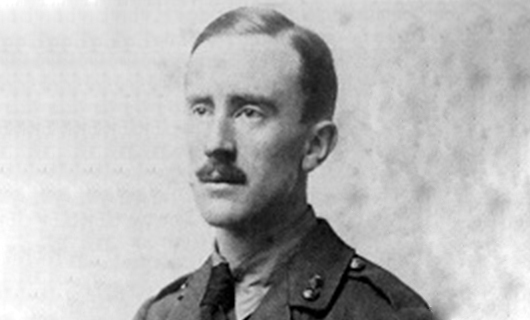 John Ronald Reuel Tolkien was a writer, poet and university professor, best known as the author of the classic fantasy works ‘The Hobbit’, ‘The Lord of the Rings’, and ‘The Silmarillion’. While not the first fantasy author, the success of Tolkien's works led to a revival of the genre. ‘The Lord of the Rings’ is one of the best-selling novels ever written, with over 150 million copies sold, and has been adopted into a commercially-successful film trilogy. 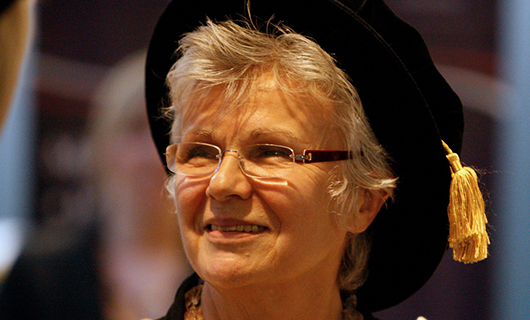 Julie Walters is one of the UK's most popular actresses, with a career dating back over 40 years. Following a number of TV appearances, Walters first came to prominence in 1983, playing the title role in the film 'Educating Rita', winning BAFTA and Golden Globe awards, as well as an Academy Award nomination for Best Actress. She received a second BAFTA award for the film 'Billy Elliot', while other film roles included 'Calendar Girls', 'Mamma Mia!' and seven of the eight Harry Potter stories. On television, she is known for her collaborations with Victoria Wood, and has won the BAFTA TV Award for Best Actress four times. Emma Willis is a TV presenter and former model, best known for fronting 'Big Brother' and 'Celebrity Big Brother' since 2013 and 'The Voice UK' since 2014. She began her presenting career on music channel MTV before guest-hosting other shows such as 'CD:UK', 'This Morning' and 'Loose Women'. She presented the ITV2 series 'I'm a Celebrity...Get Me Out of Here! NOW!' and Big Brother spin-off 'Big Brother's Bit on the Side', before moving across to the main show. She also hosts the Sunday breakfast show on Heart FM with Stephen Mulhern. In a music career spanning almost 50 years, Joan Armatrading has released 19 studio albums, received an Ivor Novello Award for Outstanding Contemporary Song Collection, and been nominated for three Grammy Awards and two BRIT Awards. Her most successful singles included 'Love and Affection' which reached number 10 in the UK charts in 1976 and 'Drop the Pilot' which made number 11 in 1983. Granville Bantock was a composer and academic who had a significant influence on musical life in Birmingham. He was the first full-time principal of the Birmingham and Midland Institute School of Music (now Royal Birmingham Conservatoire) in 1900 and continued to write music throughout his life, reflecting his varied interests and travel to different parts of the world. Ali Campbell was the lead singer and a founding member of UB40 – one of the most commercially-successful reggae acts of all time, with over 70 million records sold worldwide. Formed in Birmingham with an ethnically-diverse lineup featuring musicians of English, Scottish, Irish, Jamaican and Yemeni descent, the group became known for their distinctive versions of songs like ‘Red, Red Wine’ and ‘(I Can’t Help) Falling in Love with You’. Jamelia Niela Davis, more often known simply as Jamelia, is a recording artist, television presenter and actress who has released three top 40 studio albums and seven top 10 singles. Jamelia has also won four MOBO Awards, a Q Award and nine BRIT Award nominations. More recently, she has made appearances in a number of TV shows including ‘The Voice of Ireland’, ‘Loose Women’ and ‘Strictly Come Dancing’, as well as taking acting roles in ‘Death in Paradise’, ‘Doctors’ and ‘Crime Stories’. Roland Gift is best known for his time as lead singer of the Fine Young Cannibals, who rose to fame in the mid-1980s with singles such as 'She Drives Me Crazy' and 'Good Thing', which were hits on both sides of the Atlantic. Following the break-up of the band, he released a solo album in 2002. He has also worked as an actor, appearing in films including 'Tin Men' and 'Scandal' and the TV series 'Highlander'. Jaki Graham secured five UK top 20 hits in the mid-1980s with singles including 'Round and Around' and 'Set Me Free'. In 1994, her cover version of Chaka Khan's hit 'Ain't Nobody' reached number one on the US Billboard Dance Chart. Jaki has continued to perform around the world and in 2011, she was invited to join Sir Cliff Richard on his ‘Soulicious’ arena tour. David "Dread" Hinds is the lead vocalist and rhythm guitarist for the Grammy Award-winning reggae band Steel Pulse. Influenced by the music of his parents' home country of Jamaica, the band was founded in 1975 and has since released 11 studio albums. Outside the band, David has written songs for various films including 'Can’t Stand It', featured in the movie 'Do The Right Thing', directed by Spike Lee. He has also released two solo singles. Tony Iommi was the lead guitarist and one of the four founding members of influential heavy metal band Black Sabbath, as well as being the group’s main songwriter. He is often considered one of the greatest rock guitarists of all time, despite having to adapt his playing style after losing the tips of two fingers in an accident. Artists including Eddie Van Helen and Brian May have cited him as being the creator of heavy metal. Steven Kapur, who goes by the stage name Apache Indian, is known for producing music which fuses elements of reggae and bhangra, reflecting the music influences of the multicultural area he grew up in. He had a series of hits during the '90s, most notably 'Boom Shack-A-Lak' which reached number 5 on the UK charts in 1993 and has featured on a number of film soundtracks. In November 2013 he opened the Apache Indian Music Academy, to encourage future musical talent, at South and City College Birmingham. Jeff Lynne is a songwriter, singer, producer and multi-instrumentalist who co-founded the innovative and influential rock band Electric Light Orchestra (ELO) in 1970, who went on to secure a string of hits including 'Livin' Thing' and 'Mr Blue Sky'. He also co-founded the supergroup Traveling Wilburys with George Harrison, Bob Dylan, Roy Orbison and Tom Petty, and collaborated with various other artists as producer, including The Beatles. Christine is best-known as the keyboard player and one of three vocalists with one of the world's top-selling rock bands, Fleetwood Mac. She studied sculpture at Moseley School of Art, with the aim of becoming an art teacher. During that time, she met a number of aspiring musicians on the local blues scene, playing bass in one band and singing with Spencer Davis. She tasted her first success with the band Chicken Shack, which she joined as keyboardist in 1967 before moving to Fleetwood Mac two years later after meeting bassist John McVie, who she later married. She played with the group until 1998, and rejoined in 2014. Laura Mvula grew up in the city and studied composition at Birmingham City University. After signing to Sony Music Entertainment’s flagship label, RCA Records, her debut album 'Sing to the Moon' was released in 2013, followed by 'The Dreaming Room' in 2016, both enjoying critical acclaim and Mercury Prize nominations. She also won MOBO awards for Best Female Act and Best R&B or Soul Artist in 2013, and the Ivor Novello Album Award in 2017. 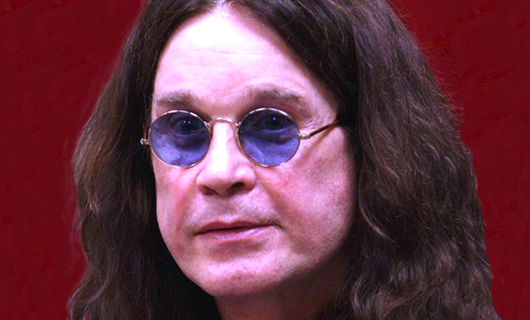 John 'Ozzy' Osbourne rose to prominence during the 1970s as the lead vocalist of heavy metal band Black Sabbath. He was fired from the group in 1979 and went on to have a successful solo career, releasing 11 albums. He returned to Black Sabbath in 2011 for a number of live performances and a new album. His total album sales, combining Black Sabbath and solo releases, are over 100 million. He received a new audience in the early 2000s with the MTV reality show 'The Osbornes', starring alongside wife and manager Sharon and two of their three children, Kelly and Jack. He has since appeared in a number of other programmes with members of his family. Dave Pegg is the longest-serving member of the successful British folk rock band Fairport Convention, who he first played with in 1969, as well as playing bass for a number of other folk and rock groups including the Ian Campbell Folk Group and Jethro Tull. He has appeared on some of the most significant albums of his era, as well as undertaking solo projects and working as a producer. His style of bass playing has been particularly influential in folk rock music. One of the most well-regarded conductors of his generation, Sir Simon Rattle rose to prominence during the 1980s and 1990s as Musical Director of the City of Birmingham Symphony Orchestra. He was successful in raising the orchestra's profile and overseeing its move to the city's renowned Symphony Hall in 1991. As a passionate supporter of music education, he oversaw the formation of the Birmingham Schools' Symphony Orchestra, of which he remains patron. He later became principal conductor of the Berlin Philharmonic from 2002-18. Mike Skinner is an English rapper and record producer, best known for the five studio albums released under the name The Streets. Essentially a one-man band, Skinner provided vocals, keyboards and synthesisers, working with other occasional contributors. His first album 'Original Pirate Material' was hailed as providing a new sound for British garage and hip-hop, and was nominated for the Mercury Music Prize, while second album 'A Grand Don't Come for Free' supplied the number 1 single 'Dry Your Eyes'. 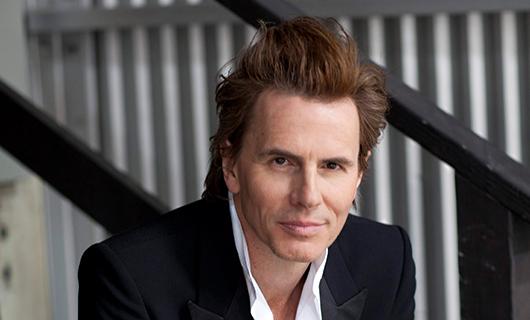 John Taylor is a founding member and bass guitarist in the pop/rock band Duran Duran. Considered one of the most influential and successful groups of their genre, Duran Duran have sold over 100 million records worldwide since their formation in 1978. Hailed as the leading band in the so-called 'Second British Invasion' of the USA, with 21 singles entering the Billboard Hot 100 chart, two Grammy awards, as well as, countless other accolades through the years, Duran Duran remain one of the most iconic bands to come out of the UK. John has also released material with the critically acclaimed group The Power Station (which featured Robert Palmer on vocals) and several albums as a solo artist. His autobiography, "In The Pleasure Groove: Love, Death & Duran Duran" (Little, Brown, 2012) placed Top 10 on the esteemed New York Times Best Sellers list. Roger Taylor is the drummer in the pop/rock band Duran Duran. Considered one of the most influential and successful groups of their genre, Duran Duran have sold over 100 million records worldwide since their formation in 1978. Hailed as the leading band in the so-called 'Second British Invasion' of the USA, with 21 singles entering the Billboard Hot 100 chart, two Grammy awards, as well as, countless other accolades through the years, Duran Duran remain one of the most iconic bands to come out of the UK. Roger is also a successful DJ, with residencies in London and Ibiza, and a Top 10 single on the UK dance chart under his belt. Coming from a musical Jamaican family, Ruby Turner moved to Birmingham at the age of nine. After working with the band 'Culture Club' at the height of their popularity in the 1980s, she then secured a solo recording contract, achieving a Number 1 in the American R&B chart in February 1990 with 'It's Gonna Be Alright' - one of few British artists to top that chart. She sang the National Anthem at the official opening of the Millennium Dome, and has sung with artists including Mick Jagger and Jools Holland. Toyah Willcox is a singer, songwriter, actress and writer, who has enjoyed a career spanning some 40 years. Identifying with the emerging punk genre, some of her biggest hits included 'It's a Mystery', 'Thunder in the Mountains' and 'I Want to Be Free'. Her acting career developed at the same time, and she has appeared in over forty stage plays and ten feature films, as well as presenting or narrating numerous television shows. Mervyn "Muff" Winwood is an English songwriter and record producer, who began his musical career as bass guitarist in The Spencer Davis Group in the 1960s, alongside his brother Steve. He then became an A&R man at Island Records, signing bands including Prefab Sprout, Terence Trent D'Arby, Sade, Shakin' Stevens and The Psychedelic Furs, and then took executive positions at CBS Records (later Sony Music). He produced the first Dire Straits album, Dire Straits in 1978, as well as Sparks, Mott the Hoople and Marianne Faithfull. Steve Winwood took an interest in music from an early age, playing piano, drums and guitar. He joined The Spencer Davis Group, alongside his older brother Mervyn, aged 14, and went on to co-write and record the chart-topping hits 'Gimme Some Lovin'' and 'I'm a Man'. He then pursued a solo career with hits including 'Valerie' and 'Higher Love'. For his first two albums, he played every instrument himself. Roy Wood is an English singer, songwriter and musician, who achieved success as a founding member of The Move, Electric Light Orchestra and Wizzard. The Move's hit ‘Flowers in the Rain' was the first single played on BBC Radio 1 at its launch in 1967, while Wizzard's 'I Wish It Could Be Christmas Everyday' is one of the most enduring popular festive singles of all time. Attwood entered his father’s banking firm in Birminghamin 1800 and 1811 was elected as high bailiff of the city. In January 1830 he founded the Birmingham Political Union, which put pressure on the government to pass the Reform Bill of 1832. Attwood formed the union because of widespread economic distress, particularly after 1826. Through its action, working-class protest was strengthened by middle-class agitation for parliamentary reform to secure currency reform. The union’s structure and methods were applied in many parts of the country. After passage of the Reform Bill, Attwood was elected a member of Parliament for Birmingham, for which he sat until 1839. A building at BCU’s former Perry Barr campus was named after him. Alice Beale was the first president of the Birmingham Settlement charity from 1899 to 1924, which provided support to women and families in the St Mary’s area of the city (now known as Newtown). A wing of the University House building at the University of Birmingham was named in her honour in 1913. Marjorie Alice Brown became the City’s first woman Lord Mayor and attracted significant crowds to the 1973 Lord Mayor’s Show. As Chair of the Council’s Road Race sub-committee she oversaw preparations for the Birmingham Superprix, a motor racing event held on the city’s streets. Joseph Chamberlain was a prominent Birmingham politician and industrialist. A self-made businessman, he worked as a shoemaker before joining his uncle’s successful screw manufacturing company. He was a radical mayor of Birmingham from 1873, nationalising the city's lighting and water supplies, building libraries and schools, and instigating a programme of slum clearance. He then became an MP for the city, serving in government as President of the Board of Trade and Secretary of State for the Colonies. Neville Chamberlain worked in business and local government before following his father, Joseph Chamberlain, and older half-brother, Austen Chamberlain, into the House of Commons in the 1918 general election. He served as Minister of Health and Chancellor of the Exchequer before becoming Prime Minister in 1937. After initially trying to avoid conflict with Germany, his government declared war following the invasion of Poland in 1939. Chamberlain resigned the following year, to be succeeded by Winston Churchill. Born in Winson Green, Jessie Eden was a shop steward and leader of women workers who led thousands out on strike for equal pay in her mid-20s. A leading figure in the 1926 General Strike, she stood for election as a Communist Party politician and is believed to have helped build the Moscow underground system. In more recent times Jessie Eden was featured as a character in BBC drama Peaky Blinders. Born in Edgbaston and educated in the area, Preet Kaur Gill MP became the first British Sikh woman elected to the House of Commons. In 2017 she comfortably won what had been considered a marginal seat by almost 7,000 votes and has since been appointed Shadow Minister for International Development. Prior to her election, Ms Gill had served as a Cabinet Member on Sandwell Metropolitan Borough Council. She has a first class honours degree in social work and sociology. At the 2010 General Election Shabana Mahmood became one of Britain’s first female Muslim MPs, winning the seat of Birmingham Ladywood. Since election to the House of Commons, Ms Mahmood has held a number of senior Opposition posts including Shadow Chief Secretary to the Treasury and Shadow Minister for Higher Education. Mahmood graduated from Lincoln College, Oxford, with a degree in Law. Morris, a former teacher in Coventry, was elected as an MP in 1992 and became part of Tony Blair’s New Labour government in 1997. She was promoted to Secretary of State for Education and Skills in 2001 and after stepping down from Parliament in 2005 was elevated to the House of Lords with the title Baroness Morris of Yardley in the County of the West Midlands. She recently took charge of Birmingham Education Partnership, a body charged with improving performance at Birmingham’s schools. George Muntz was a prominent industrialist in Birmingham, inventing Muntz Metal - a brass alloy intended for machine parts that needed to be resistant to corrosion, still used to this day. A supporter of political reform, he was put on trial for various protest activities in 1838 but acquitted on all but one charge and two years later was elected an MP for the Birmingham constituency - a position he continued to hold until his death in 1857. A street, tower block and park in the city are all named after him. An important and controversial figure in the religious history of Britain. Converting to Catholicism midway through his life, he established the first English Oratory at Maryvale near Birmingham, moving soon after to Alcester Street in the city’s centre and later to its present home in Edgbaston. Patron of Newman University Birmingham, Newman was Beatified by Pope Benedict XVI in September 2010. In 1881 Catherine Osler founded the Birmingham Ladies' Debating Society. Four years later she was appointed secretary of Birmingham Women's Suffrage Society. In 1888 she presided over a conference of the Women's Liberal Federation that was held in Birmingham. Osler was a member of the executive committee of the National Union of Women's Suffrage Societies and was opposed to the militant policies of the Women's Social and Political Union (WSPU). Catherine Osler resigned as president of the Women's Liberal Federation in 1909 in protest against the government's policy of forcibly feeding hunger-striking suffragette prisoners. Birmingham’s first female City Councillor, Pinsent was elected in November 1911 to serve the Edgbaston ward. A mental health worker originally hailing from Lincolnshire, Pinsent also served as Commissioner for the Board of Control for Lunacy and Mental Deficiency. A school in Billesley and a room at the City Council’s main headquarters have been named in her honour. John Rogers is the translator and publisher of the Matthew’s Bible of 1537, the second version of the Bible to be published in English, and the first that was translated from the original Greek and Hebrew texts. He was the first English Protestant martyr under Mary I of England, and he was sentenced to be burned at the stake for heresy in 1555 in London. Born in a luxurious suburb of Edgbaston, Ryland – an only child – inherited estates worth more than a million pounds in Ladywood, Sparkhill, Small Heath, Northfield and Moseley when she lost her father at the age of 29. Louisa Anne Ryland proceeded to shower gifts upon the town of her birth, donating Cannon Hill Park to the people of the city. Ryland wanted the Park to be a source of healthy recreation for the people of Birmingham, and for them to help protect and preserve the park. The park was designed by Mr T J Gibson, who also designed Battersea Park in London. It was opened to visitors in 1873. A former Chief Executive of the John Lewis Partnership, Andy Street CBE was elected the first Mayor of the West Midlands and Chair of the West Midlands Combined Authority in 2017, representing 2.8 million people across seven local council areas. Before becoming Mayor, Andy combined a career at John Lewis, Britain’s most successful workers’ co-operative, with a host of high-profile economic development roles, working with local and national government. He holds three honorary degrees from Birmingham City University, Aston University and the University of Birmingham. Born in Gloucestershire, Sturge moved to Birmingham in his late twenties in 1822 to set up a grain-importing business with his brother, Charles. In 1831 he left the business to pursue causes in public life and immediately got to work to press Parliament to legislate against slavery. After the passing of the British Emancipation Act in 1933 Sturge continued to push for the complete emancipation of the enslaved and travelled to Jamaica to help establish communities for those freed from slavery. A memorial statue to Joseph Sturge stands in the Five Ways area of the city. Will Thorne was a British trade unionist, activist and one of the first Labour Members of Parliament (MPs). Having started work at the age of six, he went 'on strike' when his employer tried to cut his wages. He later moved to London and found employment at a gasworks, where he helped to found the National Union of Gas Workers and General Labourers, later becoming General Secretary. After several attempts, he was elected as a Labour MP for West Ham South in the 1906 general election. Dame Rachel Waterhouse, DBE is a local historian of Birmingham and the West Midlands is a consumer affairs activist and writer. Waterhouse was Chair of Consumers' Association and a member of the National Consumer Council and of the Health and Safety Commission. She was a member of the group which resurrected the Lunar Society around 1990 and became its founder Chairman. A founder member of The Victorian Society in 1958 she was instrumental in setting up the Birmingham Branch in 1967, serving as its first Chairman between 1967 and 1971. She was president of the Birmingham and Midland Institute for 1992. Coming to Birmingham at the age of 16, John Skirrow Wright started professional life as a humble clerk at a button manufacturer but worked his way into many aspects of Birmingham life. Inventor of the postal order while serving as President of the Chambers of Commerce, he allowed the poor who did not hold bank accounts to be able to buy goods and services in the same manner the rich would use cheques. At one stage or another he would play a major role in the Birmingham General Hospital, the Chamber of Commerce, The School of Art, the Children’s Hospital and the Blue Coat School. He also became the first chairman of the Birmingham Liberal Association. 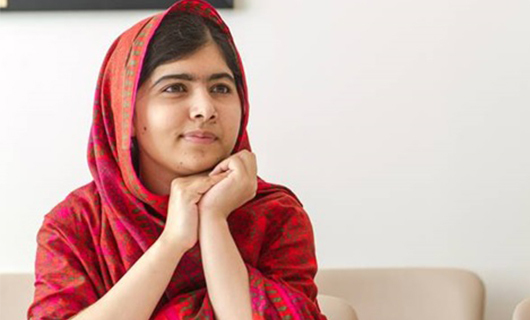 Born in Mingora, Pakistan, daughter of a teacher who ran a girls’ school in the village, Malala Yousafzai’s passion for an education started from a young age. However, in 2008 the Taliban took control of her town, banning girls from school. Four later at the age of 15, Malala spoke out publicly on behalf of girls and their right to learn and was shot by the Taliban. Ten days after this she woke up in a hospital in Queen Elizabeth Hospital Birmingham. And it was in Birmingham where her family settled, with Malala attending Edgbaston High School for girls. During this time she established the Malala Fund for education in remote areas of the developing world and was awarded a Nobel Peace Prize. She now studies Politics, Philosophy and Economics at Oxford. Thomas Allcock was born in Birmingham in 1815. He began studying and practicing chemistry in the city during his teenage years. Allcock moved to the United States of America in 1845 and opened a pharmacy in New York. While living in the Big Apple he invented ‘Allcock’s Porous Plasters’ – a sticky plaster for pain relief which would become his most famous creation. Allcock would later go on to form Allcock Manufacturing and have a military career serving in the New York State Militia. Francis William Aston was an acclaimed chemist and physicist who was born in Harborne in the late 19th Century. Aston received a scholarship from the University of Birmingham, later becoming a lecturer at the institution before moving to the Cavendish Laboratory in Cambridge. Renowned for his scientific research, he won the Nobel Prize for Chemistry in 1922 after creating a mass spectrograph which discovered the presence of isotopes in many non-radioactive elements. He also remains well-known for his enunciation of ‘the whole number rule’. Moseley-born Carl Breeden was a key automotive industry engineer who also enjoyed a spell as a first-class cricketer. He set up the Wilmot-Breeden automotive components supply company in 1922 used concepts from the United Sates of America’s motor industry to inspire his organisation’s work. Alongside Lucas Industries’ Oliver Lucas, Breeden developed the dynamo for use with motorcycles which were becoming a fast-growing industry in Birmingham. A talented cricketer Breeden also played five first-class cricket matches for Warwickshire Country Cricket Club. George Andrew Darby was an electrical engineer who patented Europe’s first electrical heat detector in Birmingham. The device which was created in 1890 was a forerunner to modern smoke detectors and would indicate an increase in temperature in a home where it was fixed. John Richard Dedicoat was a keen inventor who was born in Birmingham in 1840. An apprentice of steam engine pioneer James Watt, Dedicoat is renowned for inventing the bicycle bell. The dome-shaped device recognised around the world today was first patented in 1877. Dedicoat would go on to manufacture Pegasus bicycles and create other inventions including the pencil sharpener. Manufacturer George Richards Elkington was part of the Birmingham silver plating business. Having been an apprentice for his uncle, he became the sole owner of the organisation in 1815, later going into partnership with his cousin Henry. Elkington patented the first commercial electroplating process and opened a works in the Jewellery Quarter’s Newhall Street. Pen manufacturer Josiah Mason joined the firm in 1842 and the business diversified by beginning to produce more affordable electroplated jewellery and cutlery alongside larger pieces. A Blue Plaque commemorating Elkington now sits at the site of the old Elkington Silver Electroplating Works in Newhall Street. Businessman Charles Henry Foyle founded the company Boxfoldia in Birmingham in 1920. Foyle is renowned for inventing the folding carton which gave rise to the packaging industry. Following his success Foyle created a trust which would be used for a range of charitable outcomes including providing medical and educational facilities and housing for the working classes. The C.H Foyle Trust has gone on to support a range of organisations in the west Midlands including the Midlands Arts Centre, Birmingham Museum and Arts Gallery and Selly Oak Hospital. Sir Francis Galton was an explorer, anthropologist, sociologist, psychologist and scientist who made a significant impact through his research into eugenics and human intelligence. Born in Birmingham in 1822 Galton became recognised for his scientific work including coining the term eugenics and producing the first scientific study into human genius and greatness in his book “Hereditary Genius”. His interest in human genetics led him to research the differences in human fingerprints. His scientific approach helped fingerprint evidence become accepted in the courts and he produced a classification system for fingerprints which is still used today. Galton was Knighted in 1909 in recognition of his impact on science. Michael Gerzon was a mathematician and scientist whose work had a major influence on surround sound technology. Born in Birmingham, Gerzon went on to study mathematics at Oxford where he developed an interest in the process of recording. He is renowned for his work alongside fellow student Peter Craven in inventing the Soundfield Microphone which is capable of recording as a mono, stereo or surround sound microphone. Invented the vacuum cleaner in 1905, lived in Highgate. Inventor Walter Griffiths was famed for his work into revolutionising the vacuum cleaner. Griffiths, who lived in Conybere Street in Highgate, is credited with creating the first ever portable vacuum cleaner intended to be used in the home. The device, called “Griffiths’ Improved Vacuum Apparatus for Removing Dust from Carpets”, was produced in 1905 and was the first product to resemble the cleaners used around the world today. Joseph Hinks was an inventor best known for his improvements to oil lamps. Hinks was part of the family business, James Hinks & Son, which operated out of Birmingham’s Great Hampton Street and Hockley Street. In 1865 he patented the Duplex lamp and extinguisher which used two wicks instead of one. The Duplex provided more light than traditional lamps and improved burning efficiency. Hinks would later go on to become Mayor of Leamington Spa. Birmingham-born Bertram Hopkinson was a patent lawyer and mechanical and aeronautical engineer. Having qualified as a lawyer Hopkinson opted to change careers and become an engineer following the death of his father and three of his siblings in a mountaineering accident. During his engineering career Hopkins became Professor of Mechanism and Applied Mechanics at Cambridge University and became a pioneer designer of the internal combustion engine. His expertise was enlisted during World War I where he researched weapons and ammunition. Joseph Hudson was born in Birmingham in 1848 and was the founder of J Hudson & Co. Hudson was an inventor whose legacy includes creating the first whistle. Having entered a competition in 1883 to help London’s Metropolitan police force attract people’s attention, Hudson submitted his proposal for a new whistle device. He won a contract to supply the police with the devices and would later design the first football referee’s whistle. Hudson founded Acme Whistles in the second city to produce the devices. Mechanic and Inventor John Inshaw was a major figure in designing and building machinery for the railway and shipping industries. Living in Aston, Inshaw invented a steam carriage in 1881. When loaded with 10 passengers the carriage could average speeds of 8 – 12 miles per hour. Sir Oliver Joseph Lodge was a British physicist and writer known for his contribution to the development of radio, developing an early radio wave detector and identifying electromagnetic radiation. He then received a patent for 'syntonic' tuning, which allowed transmitters and receivers to use specific frequencies. He was Principal of the University of Birmingham from 1900 to 1920. Oliver Lucas lived in Birmingham and attended King Edwards School. In 1910 he made a major contribution to the burgeoning automotive industry by developing an electric car horn. The electronic horn transferred sound more effectively and could be heard from over a mile away. Lucas’ creation paved the way for the car horn which is used in today’s vehicles. William Murdoch worked for, and later became a partner at, early British engineering firm Boulton and Watt in Birmingham from 1777. He also invented - or had a hand in - numerous inventions including the oscillating cylinder steam engine, gas lighting, steam gun and pneumatic tube message system. He built a prototype steam locomotive in 1784 and made a number of discoveries in chemistry. Born in Birmingham in 1880 and educated at King Edward’s High School, Muriel entered Newnham College, Cambridge majoring in botany, and forged a successful career at the institution. Onslow spent most of her time in either the botany school or the biochemical department of the University. In 1926 she was awarded a Lectureship in Biochemistry at the University, becoming one of the first women to receive such a form of recognition at Cambridge. She was credited as being one of the founders of biochemical genetics before her death in 1832 as a devoted servant to biochemistry. Alexander Parkes is best-known for patenting Parkesine, the first man-made plastic, which became better-known as Celluloid, used in photography, film and musical instrument production. He was an apprentice at a Birmingham brass founder, Messenger and Sons, before going to work for George and Henry Elkington, who patented the electroplating process. He took out his first patent there on a process for electroplating delicate works of art and went on to register 66 patents in total. Anthony E Pratt was born in Balsall Heath and was educated at Edgbaston’s St Philip’s School. A talented musician, Pratt had a career playing music and travelled the world performing. Playing concerts in country hotels Pratt would often witness guests play murder mystery games which gave him the idea for the board game Cluedo. Originally called “Murder!” the game was set in a country house and involved participants attempting to discover who had committed a murder. In 1944 Pratt filed a patent for the game and successfully won the backing of manufacturer Waddingtons in 1945 who would later rename the game Cluedo. 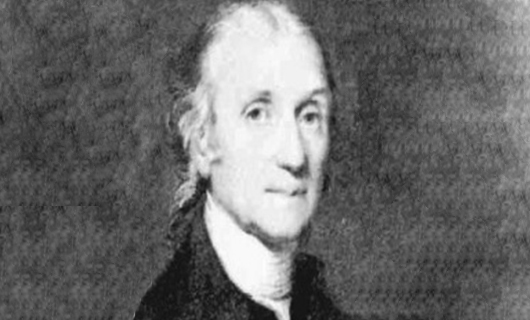 Joseph Priestley was an 18th Century theologian, philosopher, political theorist and chemist who has often been credited with the discovery of oxygen, having isolated it in its gaseous state, although other individuals do also have claims to the discovery. He also invented carbonated water and wrote extensively on the history of electricity. He held reformist religious views and was forced to leave Birmingham after his support for the French Revolution led to a riot. A building at Birmingham City University is named in his honour. British gunmaker and gun designer famous for inventing the Tranter Revolver. Gunmaker William Tranter began his career in 1830 when he became a gunsmith’s apprentice at the age of 14. Working at the heart of England’s arms manufacturing industry in Birmingham, Tranter would later buy his own firm and begin designing new guns. His most famous creation was the eponymous Tranter Revolver, which featured a dual trigger mechanism to both fire the gun and turn the cylinder. Sir John Vane was a Nobel Prize winning pharmacologist who grew up in Birmingham and studied at the University of Birmingham. During his career Vane carried out research into various medicines and was a key figure in discovering how aspirin provided pain relief and its anti-inflammatory properties. This research would earn him the Nobel Prize in Physiology or Medicine in 1982. Vane is also renowned for discovering prostacyclin and having a major impact on the development of medicines for cardiovascular disease. Former Aston Villa club captain Gabriel Agbonlahor spent 13 years with the north Birmingham football team. After making a goal-scoring debut at the age of 19 Agbonlahor went on to score 87 goals for the club over 391 appearances. In 2013 Agbonlahor broke Dwight Yorke’s record to become the club’s leading Premier League goal scorer. During his time with the club the Erdington-born forward played in a league cup final and an FA cup final and helped guide them to three successive sixth place finishes in the Premier League. He picked up three caps for England in 2008 and 2009. A boyhood Aston Villa fan, Agbonlahor gained acclaim with the club’s fans by regularly scoring important goals in derby games against Birmingham City and West Bromwich Albion. England cricketer Moeen Ali grew up in Sparkhill and developed his love for the sport playing in the local park with his father and brothers. An all-rounder, Ali signed for Warwickshire at the age of 15 and would make his debut for the team in 2005. After a successful spell with the team Ali moved to Worcestershire and made his debut in 2007. He has been a key figure for England, representing the country in both Test Match cricket and One Day internationals. Dennis Amiss is a former Warwickshire and England cricketer. Batsman Amiss scored over 3,600 Test runs including eleven centuries and two double centuries. He was the first player in One Day International cricket to have scored a century on both his debut and his last match. In 1975 Amiss was named as one of the five Wisden Cricketers of the Year and in 1988 his achievements were recognised when he was awarded an MBE. Lisa Clayton is the first woman to sail single-handedly and non-stop around the world. Birmingham-born Clayton attended the Church of England School for Girls in Edgbaston and the University of Birmingham before embarking on her record-breaking voyage. In 1994 she successfully broke the world records for fastest solo sail around the world by a woman and first British woman to sail single handed and non-stop around the world. Aboard a yacht called Spirit of Birmingham Clayton completed her journey after 285 days at sea, and despite capsizing seven times. In 1996 she was named an Honorary Freeman of the City of Birmingham in recognition of her achievements. Champion figure skater John Curry was born in Birmingham in 1949. Curry began taking figure skating lessons as a child at Birmingham’s Summerhill Road rink. During the early years of his career he trained in London and the United States. In 1976 he won European, World and Olympic gold medals and was named BBC Sports Personality of the Year. Following his successes Curry turned professional and would choreograph routines for a touring skating company until it ceased operating in the mid-1980s. Curry died in 1994 and in 2018 a documentary titled The Ice King focussing on his life and career was released. Birmingham’s Harry Gem was a soldier, lawyer, writer and sportsman who is credited as one of the inventors of lawn tennis. Born in 1819 Gem was a keen sportsman who would play cricket participate in athletics and play the 18th century sport of Rackets. Alongside his friend Augurio Perera, Gem developed a simplified version of Rackets which required less expensive equipment and could be played on the croquet lawn at Perera’s Edgbaston home. The game merged elements of rackets with the Basque game of pelota to form the first incarnation of lawn tennis. Research suggests the pair may have invented the game as early as 1859. Lawn tennis and table tennis champion Ann Jones was born in Kings Heath in 1938. Jones followed in the footsteps of her parents to take up table tennis and would go on to win three English Open titles in women’s doubles and claim the runner up spot in three world championship events. Jones also competed in top level tennis, winning the French Open twice and Wimbledon once as a solo player, as well as claiming three French Open titles in doubles and winning Wimbledon and Australian Open titles in mixed doubles. Jones was voted into the International Tennis Hall of Fame in 1985 and has been awarded an MBE and CBE for her services to tennis. 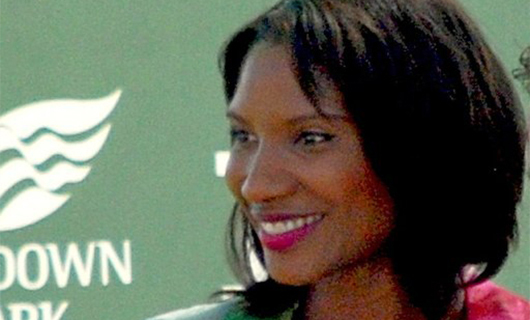 Olympic Champion Denise Lewis is a decorated track athlete who specialised in the Heaptathlon before retiring from the sport in 2005. Lewis trained at Perry Barr’s Alexander Stadium for Birchfield Harriers from the age of 13. During a medal-laden career Lewis won Olympic gold in 2000 and bronze in 1996, European Championship gold in 1998, Commonwealth Games gold in 1994 and 1998, and European Cup gold in 1995. She has also collected two World Championship silver medals and a further European Cup silver. Lewis was awarded an OBE in 2001 in recognition of her achievements. She now regularly features as an athletics pundit on the BBC and has appeared on numerous TV shows. Mark Lewis-Francis is an Olympic gold medal winning sprinter who was born in Birmingham. Lewis-Francis started his athletics career at Birchfield Harriers. A celebrated junior athlete he has won individual bronze and silver medals at the World and European Championships at senior level. His most recognised achievement came at the 2004 Olympics when he anchored the Great Britain men’s 4 x 100m relay team to a gold medal. He would go on to win further gold relay medals at the 2006 European Championships and the 2010 Commonwealth Games. William McGregor is credited with founding the Football League - the first organised association football league in the world. Arriving in Birmingham from his native Scotland to work as a draper, he soon got involved with the running of local side Aston Villa. At the time, football sides played only cup and friendly matches and - frustrated with regular cancellations - McGregor wrote to directors of other clubs suggesting the setting up of a league, which exists to this day and inspired similar competitions around the globe. Gilbert 'Gil' Merrick spent his entire career at Birmingham City FC, where he was considered one of the best goalkeepers in the UK during the 1950s. He played more than 700 times for the club overall, as well as making 23 appearances for England. On his retirement, he then became manager of Birmingham City from 1960-64, taking them to runners-up spot in the Fairs Cup (forerunner of the UEFA Cup) in 1961, and winning the League Cup in 1963. Spanish merchant Juan Bautista Luis Augurio Perera is credited as being one half of the Birmingham-based duo who invented the modern sport of lawn tennis. Perera was born in Spain before moving to London as a child and later settling in Birmingham. He played the sport of Rackets and, alongside his friend Harry Gem, created a simplified version of the game which incorporated elements of Basque sport pelota. The game could be played on Perera’s croquet lawn and would later become known as lawn tennis. Gary Shaw is a former Aston Villa footballer and member of the club’s legendary 1982 European Cup winning team. Striker Shaw was the only Birmingham-born member of the triumphant team and that season was named winner of the Bravo award celebrating the best young player in Europe. Shaw scored 79 goals for Aston Villa in a 213 game spell which also saw him win the old First Division title and be named PFA Young Player of the Year. Laura Unsworth is a decorated international hockey star who counts winning an Olympic gold medal among her achievements. Birmingham-born Unsowrth attended Coppice Primary School and Sutton Coldfield Grammar School before going on to study at the University of Loughborough. She has represented England and Great Britain more than 200 times, winning 13 medals in the process. Her medal haul includes a gold medal at the 2016 Rio Olympic Games and a bronze medal at the London 2012 Olympic Games. Graeme Murray Walker's voice is inextricably linked with motorsport in general and Formula 1 in particular, having worked as a commentator from 1948-2001, and he continues to contribute to media coverage on a part-time basis to this day. He served in the armed forces during the Second World War, and later worked in advertising for Dunlop, Aspro and then Masius advertising agency, devising many well-known campaigns for brands including British Rail, Vauxhall Motors and Mars. He continued to work in advertising until he was 59, long after he was already known as a commentator. England cricketer Chris Woakes was born in Birmingham in 1989. The all-rounder began playing cricket at the age of seven and later progressed through the ranks at Warwickshire County Cricket Club. Beginning his career in 2006, he impressed at County level and topped the bowling average in his maiden season in the first team. By 2011 he had gone on to claim 200 wickets for the side. Woakes made his international debut in a One Day International match against Australia in 2011 and his Test debut in 2013 against the same opponents. Khalid Yafai is an undefeated boxer and holder of the World Boxing Association’s super-flyweight title. He won a silver medal representing Great Britain at the 2010 European championships in Moscow. In 2016 Yafai, who lives in the Moseley area, became the first Birmingham boxer for a century to win a world title when he defeated Luis Concepción at the Manchester Arena. He has successfully defended the title three times. Yafai remains undefeated in 24 bouts, with 15 of his victories coming by knock out.